Applications are invited for the fully funded Rise Up Youth Champions Initiative 2019 in California, USA . This fully funded leadership program will take place in California for 7 days. All the cost related to the program will be covered by the Rise Up. People from Pakistan, India, Ethiopia, Rwanda and Louisiana and Mississippi, USA can apply for this leadership program 2019. Lodging during the week-long Incubator workshop in California. Rise Up will bring Students, young leaders from Ethiopia, India, Pakistan, and the United States to participate in a week-long Incubator focused on leadership, technology, and innovation. The Incubator provides young leaders with the opportunity to strengthen their vision and leadership, learn from globally renowned experts, and develop their own innovative projects. 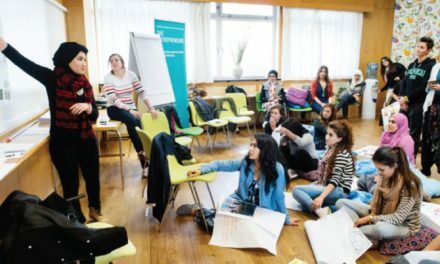 Rise Up competitively awards seed grants to participating young people and their organizations to launch the innovative projects they developed during the Incubator..
How to Apply Rise Up Youth Champion Initiative 2019? The Application deadline for the Rise Up Youth Champions Initiative is February 28, 2019. Applicants will be notified of selection results by May 1, 2019.